The 4-ply Blendup yarn has good initial absorbency. This economical blended yarn is made of natural and synthetic fibers. 20.5oz mop weight. 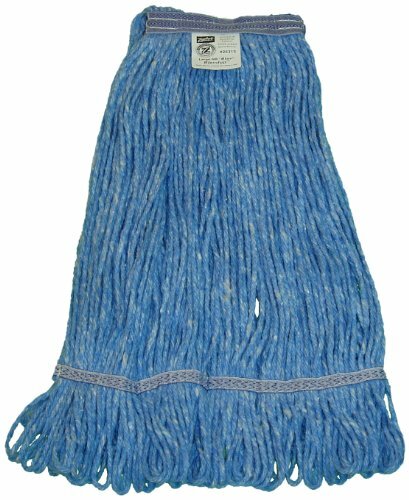 Small loop mop head with 1-1/4" narrow headbands. Blue color. 12 Mop heads per pack.